Since 2013, scuba diving companies located in Aqaba along Jordan’s Red Sea coast who relied on attracting international tourists have been witnessing a decline in customer numbers. Regional instability, tough economic times and lack of domestic publicity meant that Aqaba’s dive centers were unable to maintain a sustainable source of income in the last few years and have been in a constant fight for survival. Almost all diving centers in Aqaba are small companies that are owned, managed and staffed by Jordanians, many of whom are families whose passion for diving and the sea has been passed down for generations. Their valuable knowledge of the marine wonders of the Red Sea contributes to the rich cultural traditions of Jordan’s only seaside town. However, given that their main focus was almost exclusively on attracting international tourists, they were virtually unknown in the local market. To help the diving centers gain a larger share of the local market and increase their revenues, the USAID Jordan Local Enterprise Support Project (LENS) partnered with the Aqaba Diving Association (ADA) to organize the first ever Jordan Dive Show. 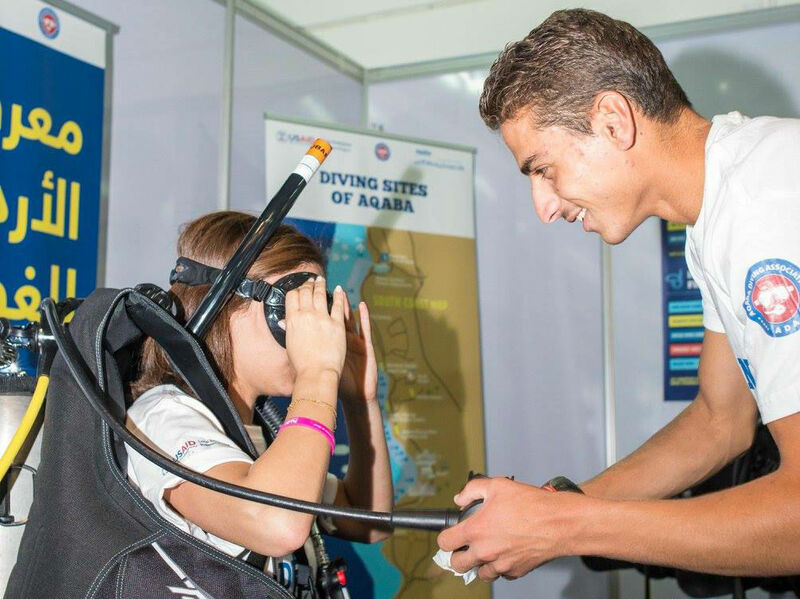 Held in Amman over three days during April 2016, the dive show showcased the services and courses offered by the 21 member diving companies of the ADA, and introduced the sport of diving and the stunning marine life in Aqaba to thousands of Jordanians. All participating companies made an average of JD 2,000 – 5,000 (approx. US$ 2,800- 7,000) in sales from this event and gained new local customers they otherwise would not have reached. 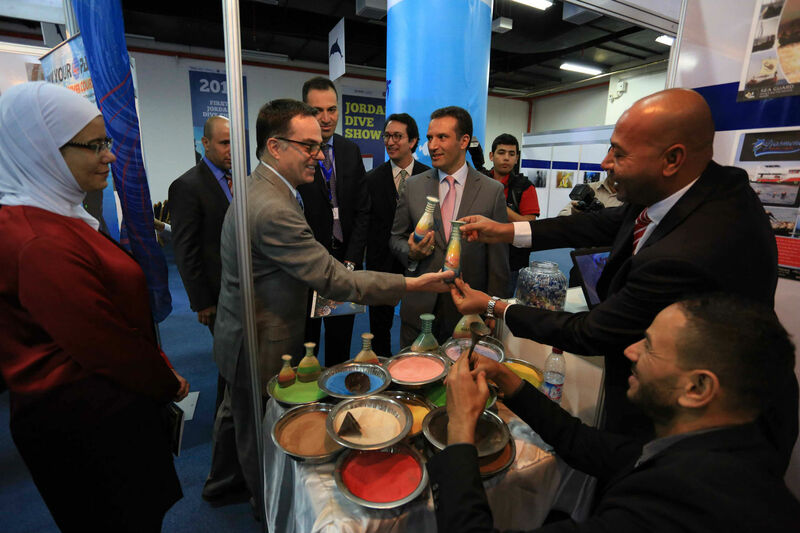 From the momentum gained through the dive show, the ADA also strengthened its linkages with other businesses in Aqaba by creating partnerships with several restaurants who agreed to give year-round discounts to ADA individual members. It is also working on other similar initiatives to encourage local diving customers to keep returning to Aqaba, thus boosting internal tourism, benefiting other local businesses and encouraging local economic development.